? 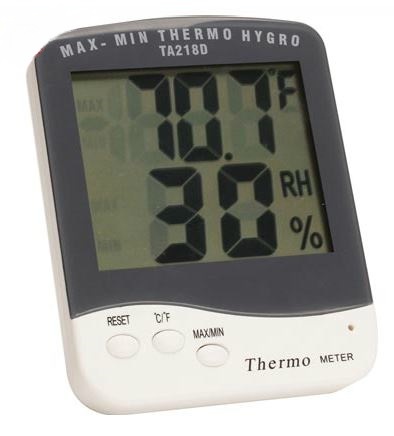 Read room temperature and relative humidity from a distance.
? Records min/max temperature and humidity, so you can see if your incubator temp or humidity fluctuates too much.
? Has external sensor on a 4' cable so Hygrometer / Thermometer can sense temps / humidity inside an incubator while being on the outside of the unit. So no opening of door, nor clear door or window required to read this unit when used on an incubator.
? 1 AAA battery required. ? Can be wall mounted or used as a desktop unit.